SMARTY Trend head unit overview for Opel Antara. The car Opel Antara has long been familiar to everyone. A feature of this car is its simplicity, ease of maintenance, reliability. The car is perfect for our roads. Also ideal for trips out of town. But in this car there are certain problems with its tuning, always first of all I want to add new functionality, but at the same time keep all the regular functions of the car, namely I will support them. Company SMARTY Trend is glad to help you in solving the problems associated with the replacement of the radio with a more modern device. For many motorists, this question is a priority, namely, how will the installation process go? What you need for this? What kind of extra work you need to do? Let's look at everything step by step. Head units SMARTY Trend are regular, that is, they are specially designed for a specific car with a specific configuration. Thus, there is no need for additional work or to purchase additional components. All that is necessary is supplied in the kit for the installation of this deviece, so the installation can be done quite quickly without any problems. This indicator is responsible for the productivity of the device. The excellent speed of the SMARTY Trend deviece is provided by the 1.8 GHz Octa-core processor (Allwinner T8), an important factor is the version of the operating system for today, the latest version is Android 8.1 with a further possibility of upgrading to the ninth version. Thus, the head unit works fast, without any problem. You can work in several applications at the same time, and not worry about the problems with the productivity of the device. Now you can use the Internet on the SMARTY Trend head unit in your car. There are several options you can use your mobile phone to create a point, thus using your mobile Internet. But if you need a full Internet access point for any of your devices, we recommend installing a modem. Thus, there will be an autonomous Internet access point in your car. The first thing to note is the unique design of this unit, which makes the whole car better. 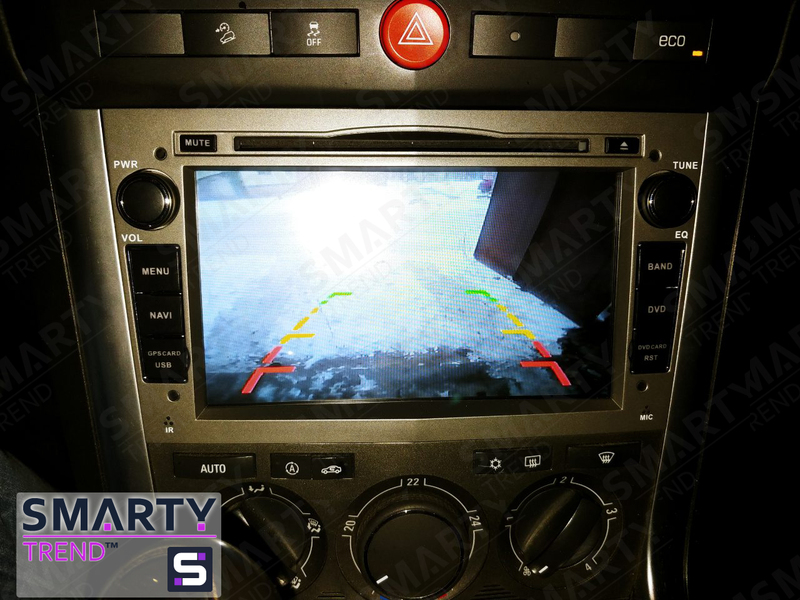 Receivers SMARTY Trend are made of high quality materials that are not inferior to the factory. Excellent viewing angles, productivity, all this SMARTY Trend deviece. This head unit is designed specifically for this car, thus it means that you will not have any problems during installation. The company SMARTY Trend is always glad to help you in choosing the head unit exactly on your car.